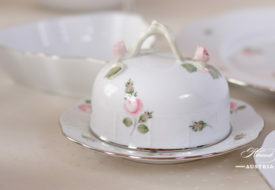 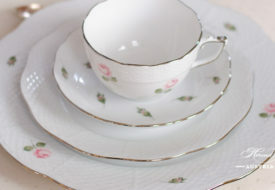 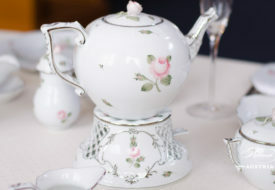 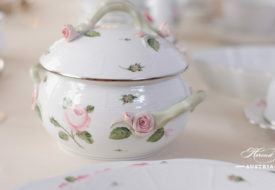 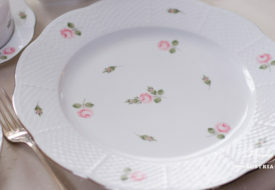 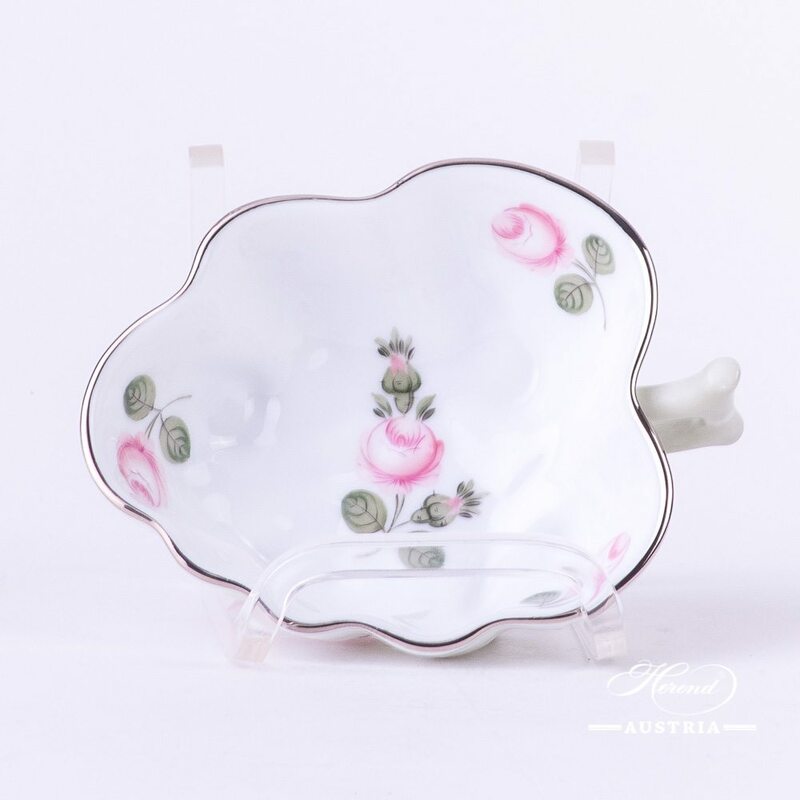 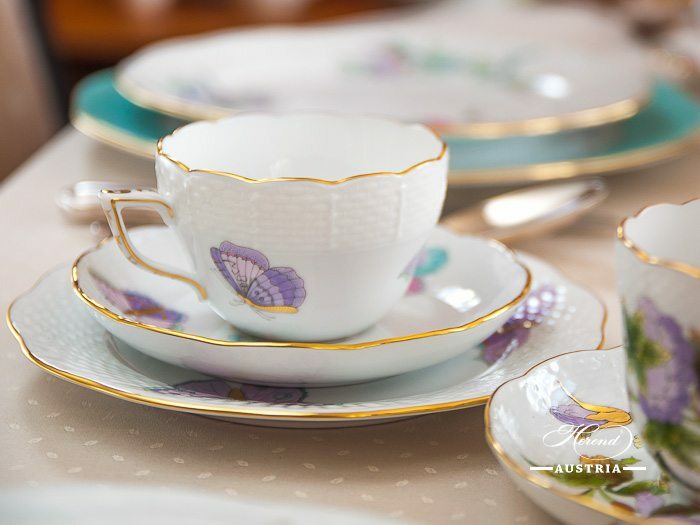 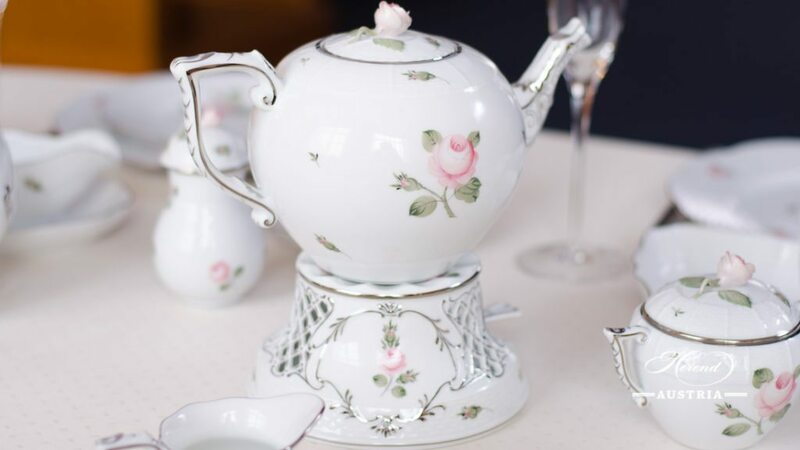 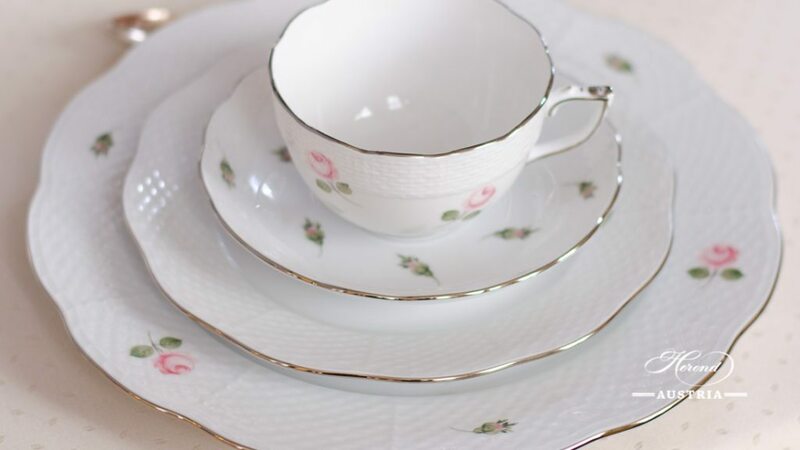 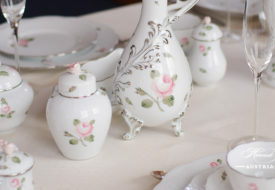 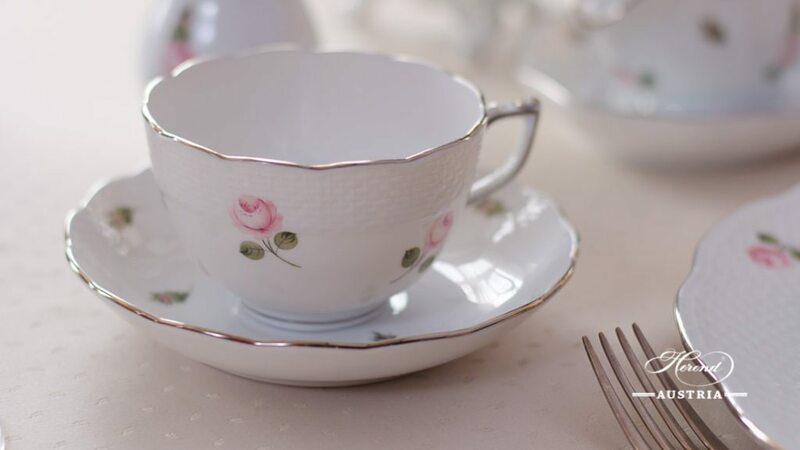 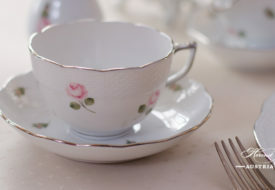 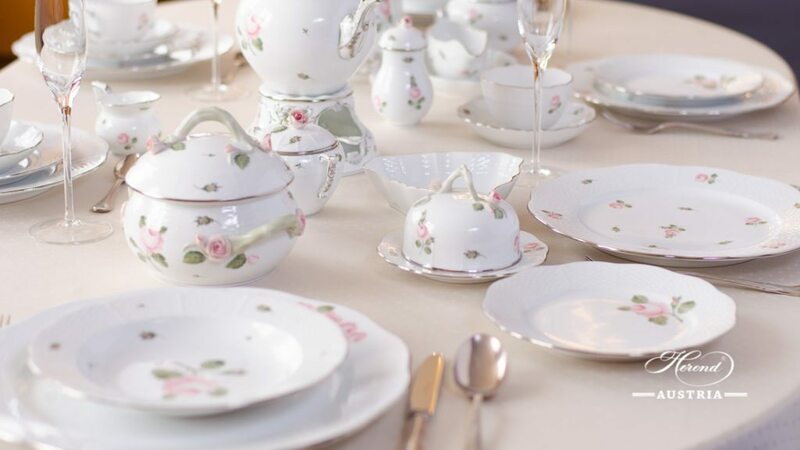 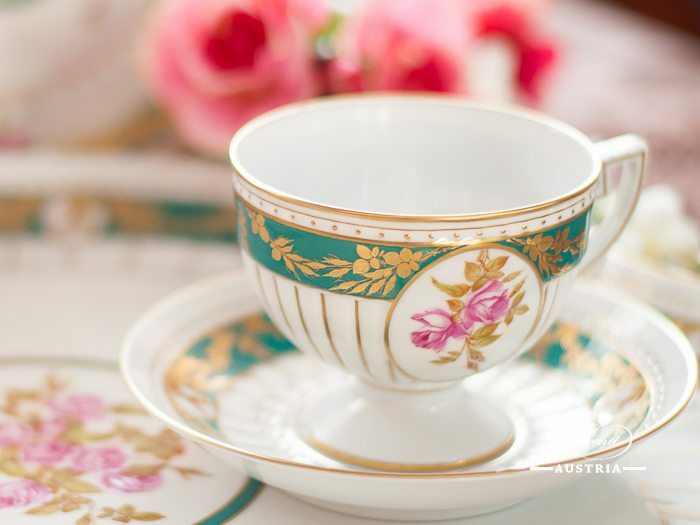 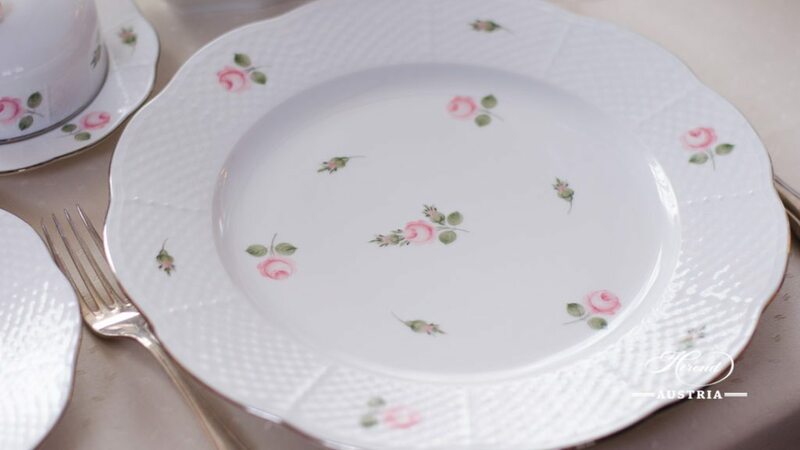 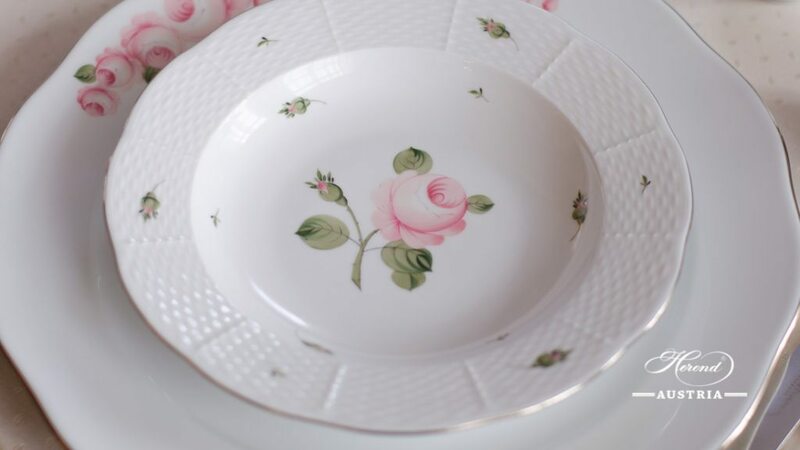 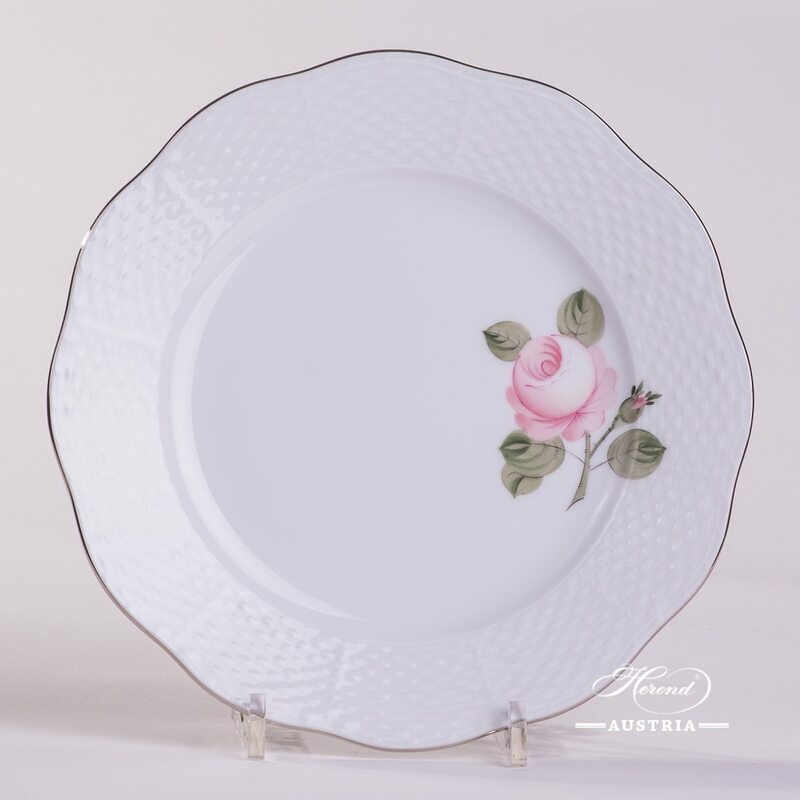 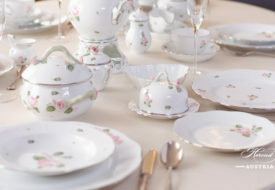 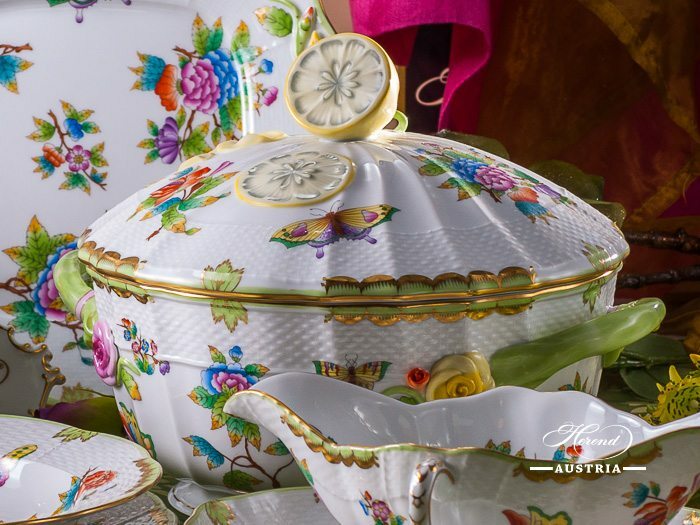 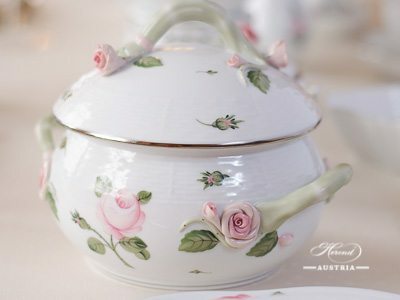 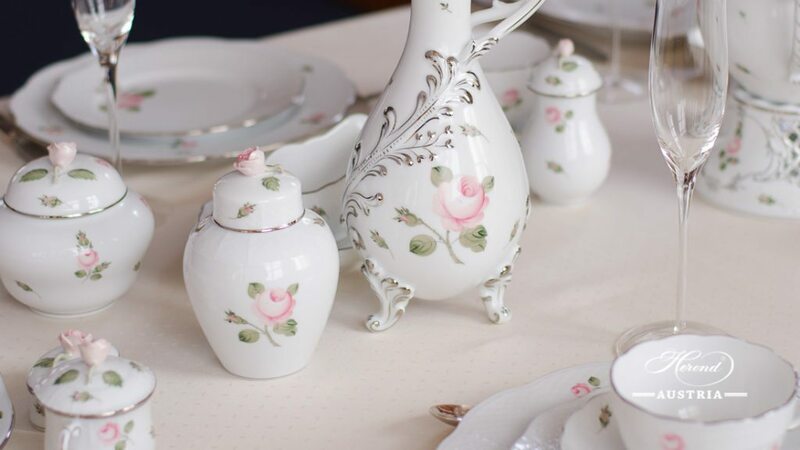 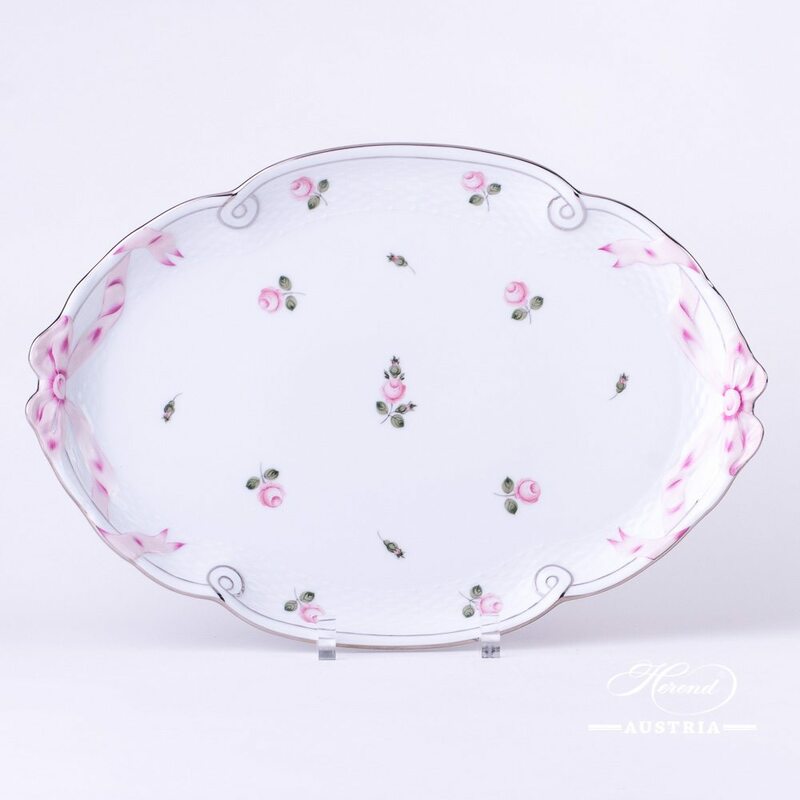 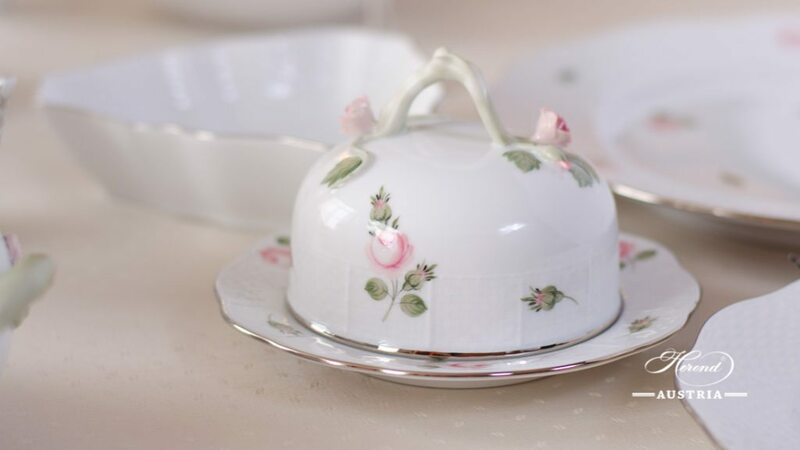 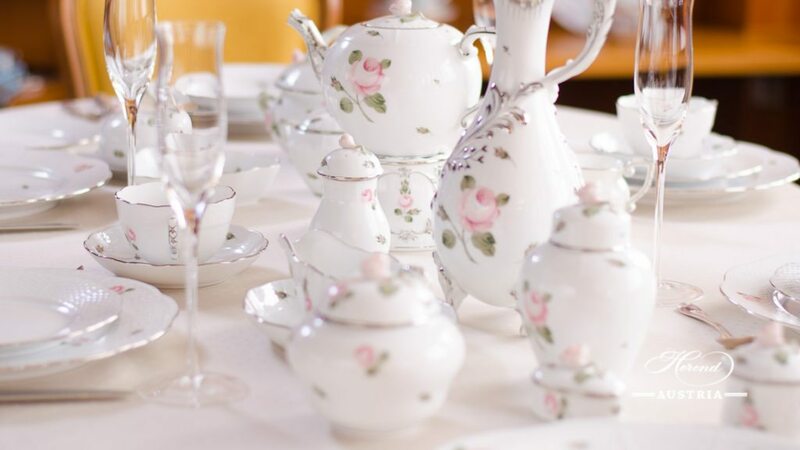 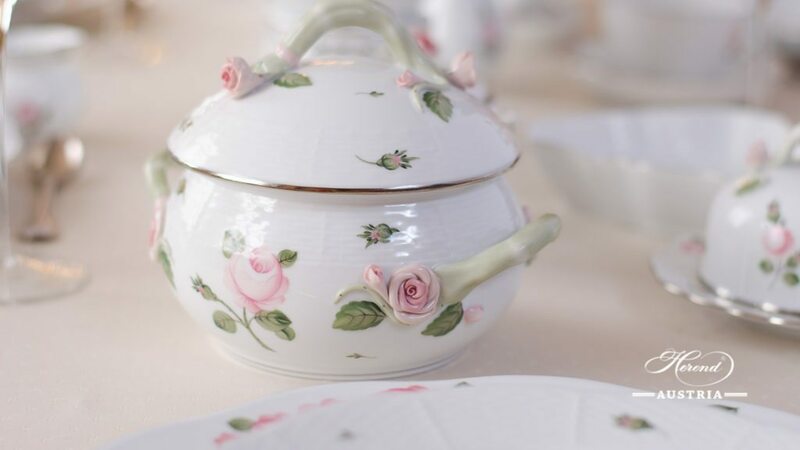 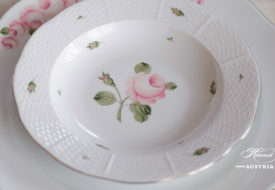 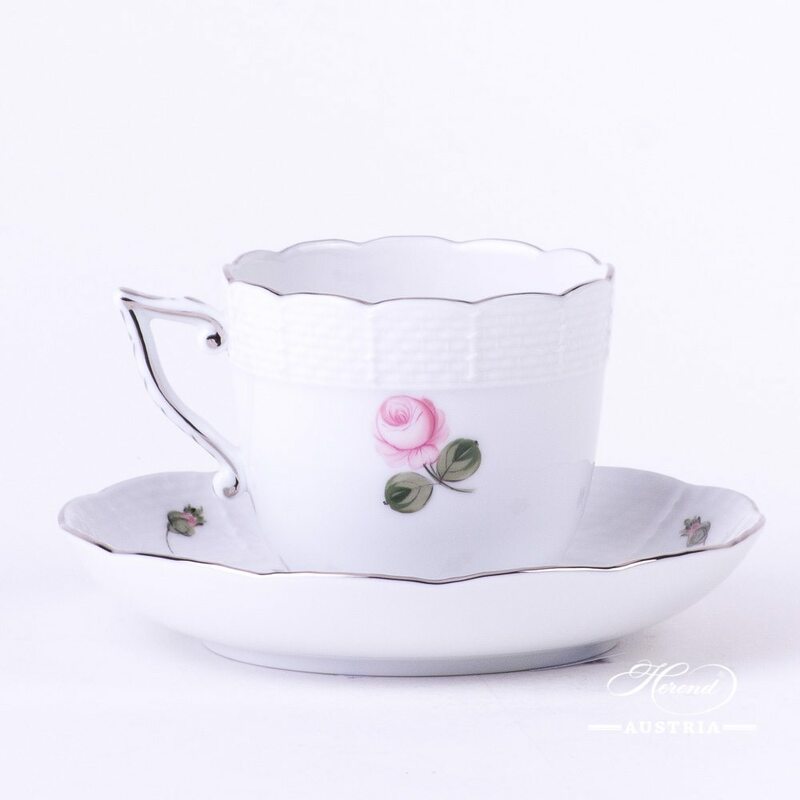 Vienna Rose VRH decor is of the same age as The Herend Porcelain Manufactory. 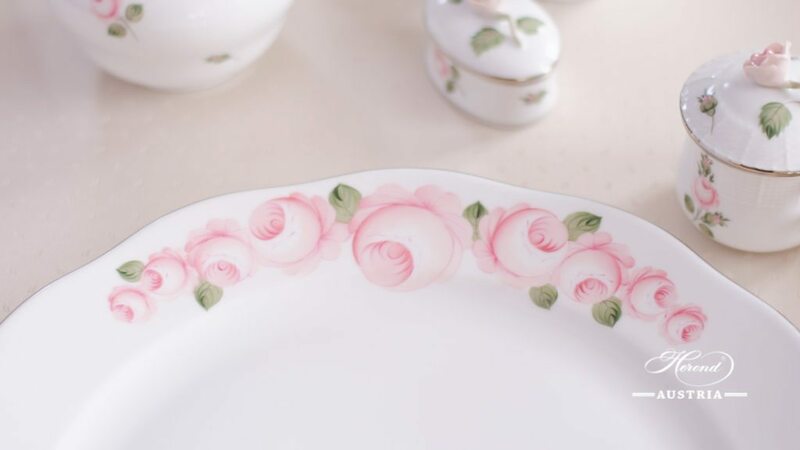 Thanks to popularity of the stylized rose pattern, it’s variations were employed by several manufactories through the 19th century. 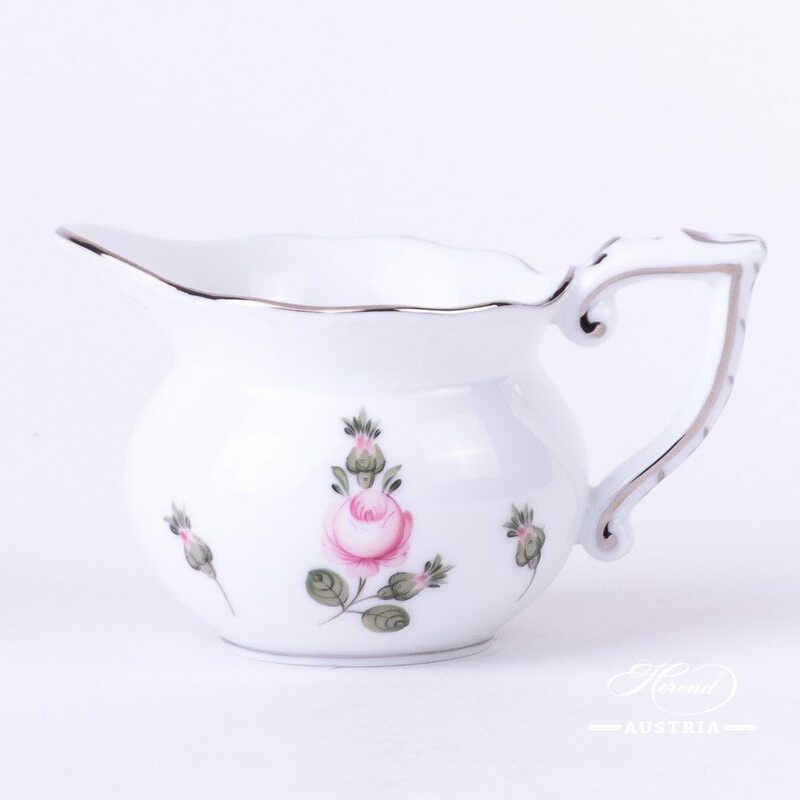 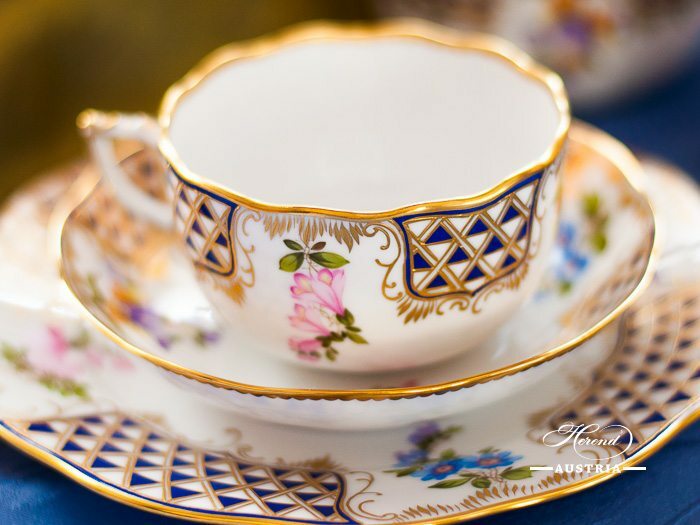 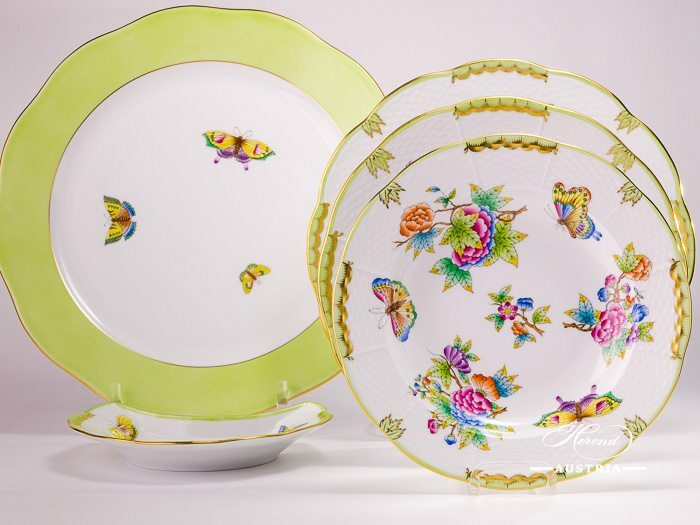 The origins of Herend Design is in the Biedermeier period. 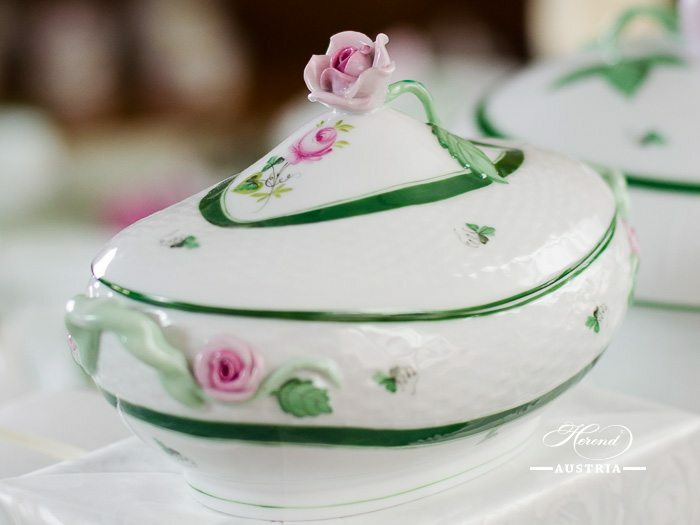 It’s green banded version with a central rose motif was commissioned by the Habsbourg Court of Vienna. 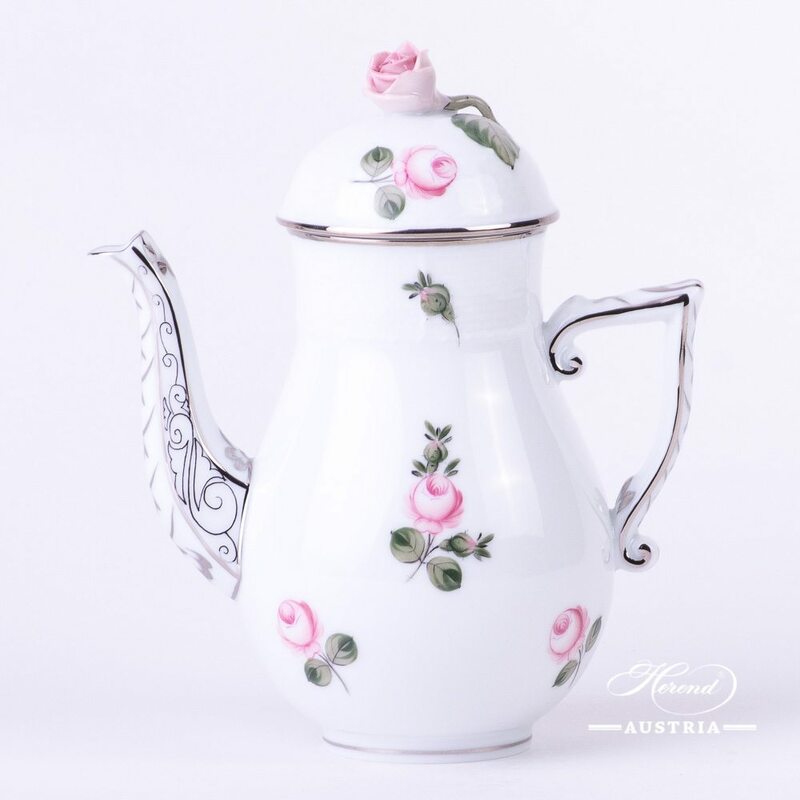 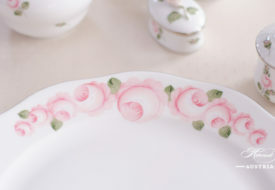 The recently revamped design of the Vienna Rose now merges several of it’s variations. 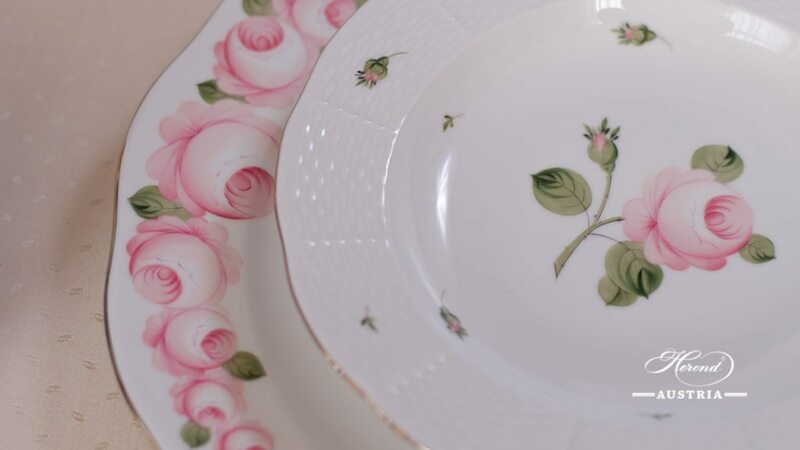 The Scattered rosebuds, the enlarged central or the speckled smaller rose blossoms triumph in their own right on individual items. 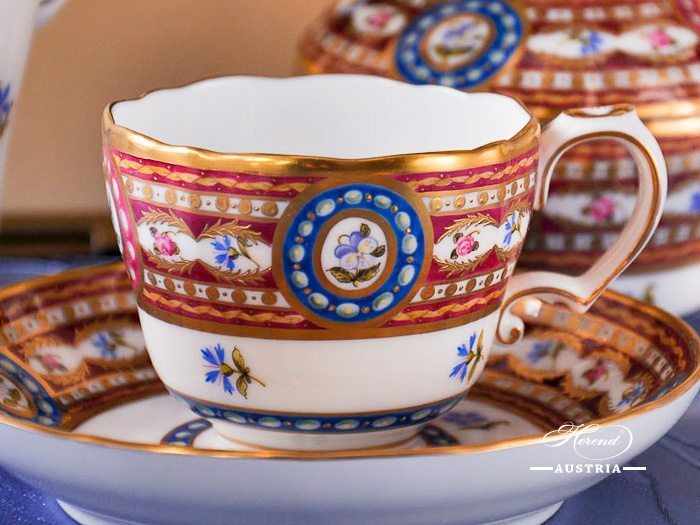 Placed next to each other, however, the very same elements from a harmonious whole, commemorating the ambiance of their ancestry. 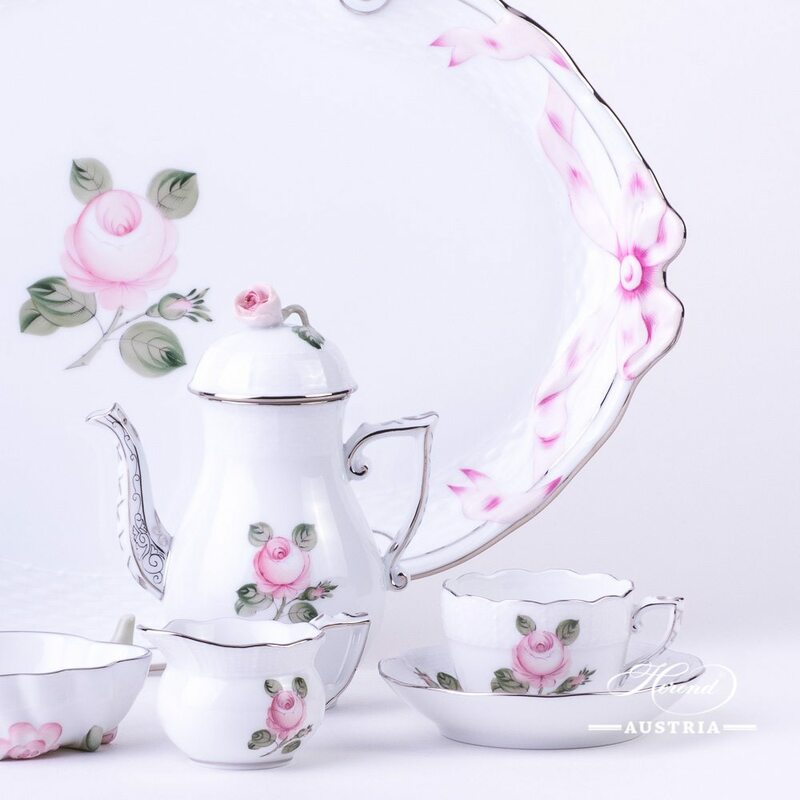 The refreshed Pastel hues of Vienna rose platinum further emphasize the coherence of the distinct motifs. 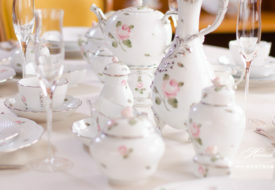 Using platinum ornaments and light grey elements, it symbolizes elegance and modern luxury at once. 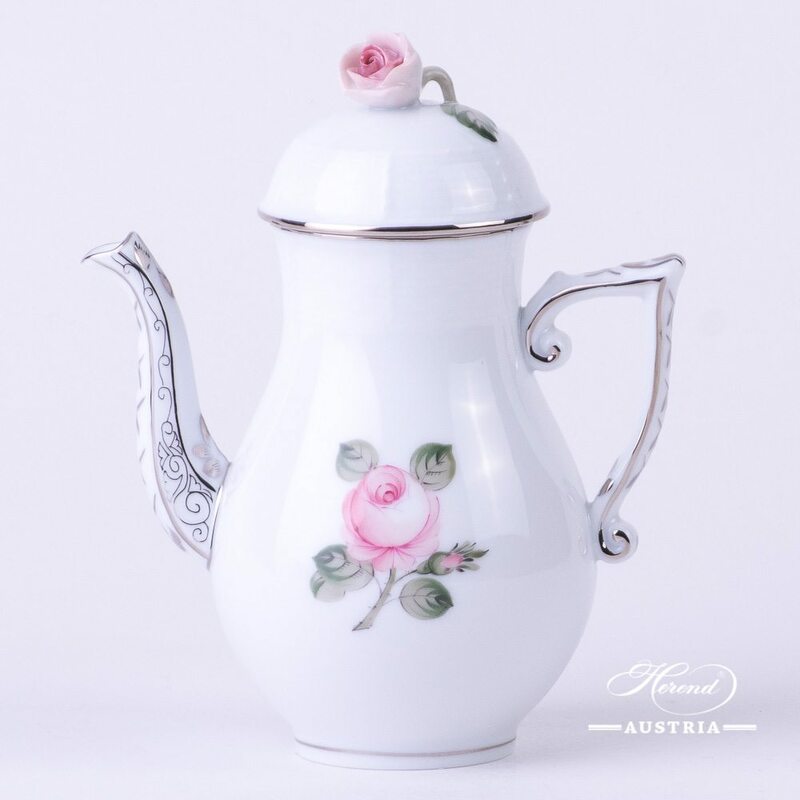 What kind of Vienna Rose Platinum items do we have? 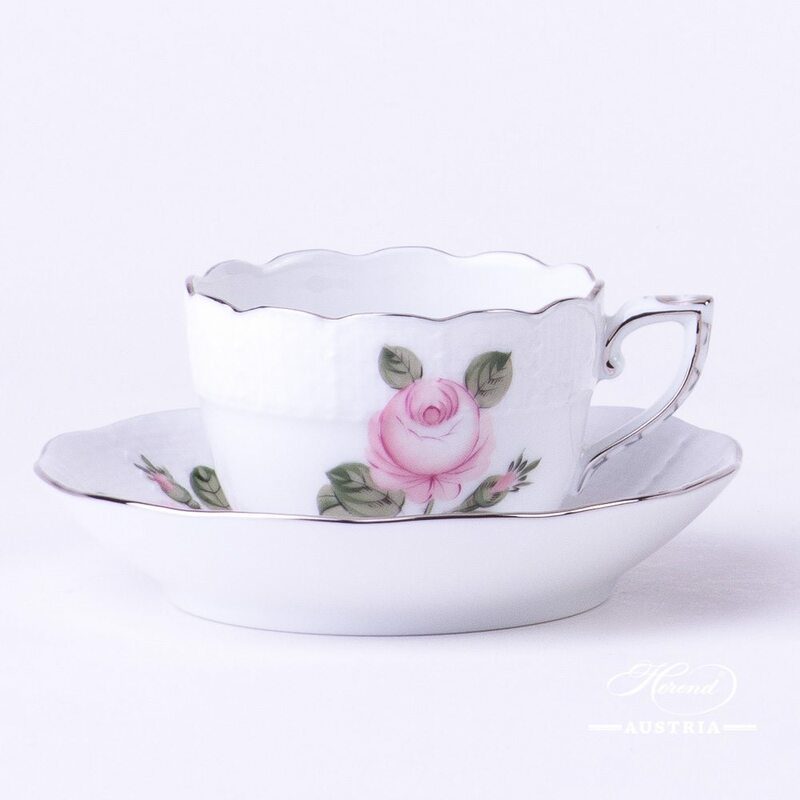 Do not forget if you do not find the item here, or in the Vienna Rose Platinum shop menu, you can always send us a request by mail. 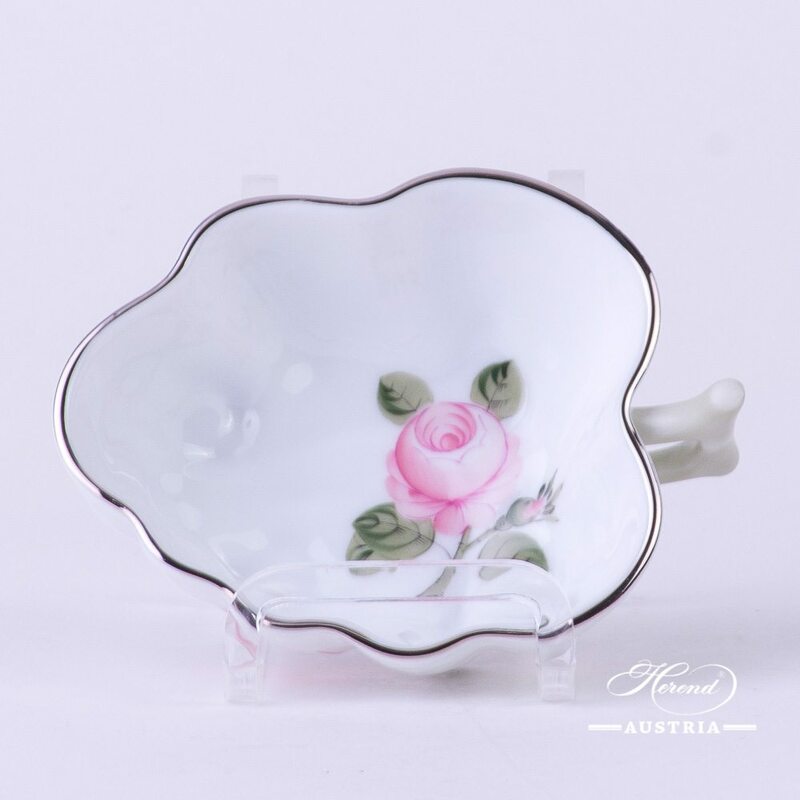 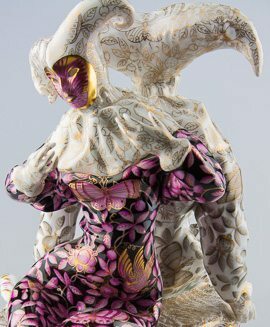 Do you want to see more Vienna Rose Platinum items? 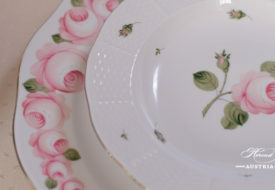 Browse further items in the Shop! 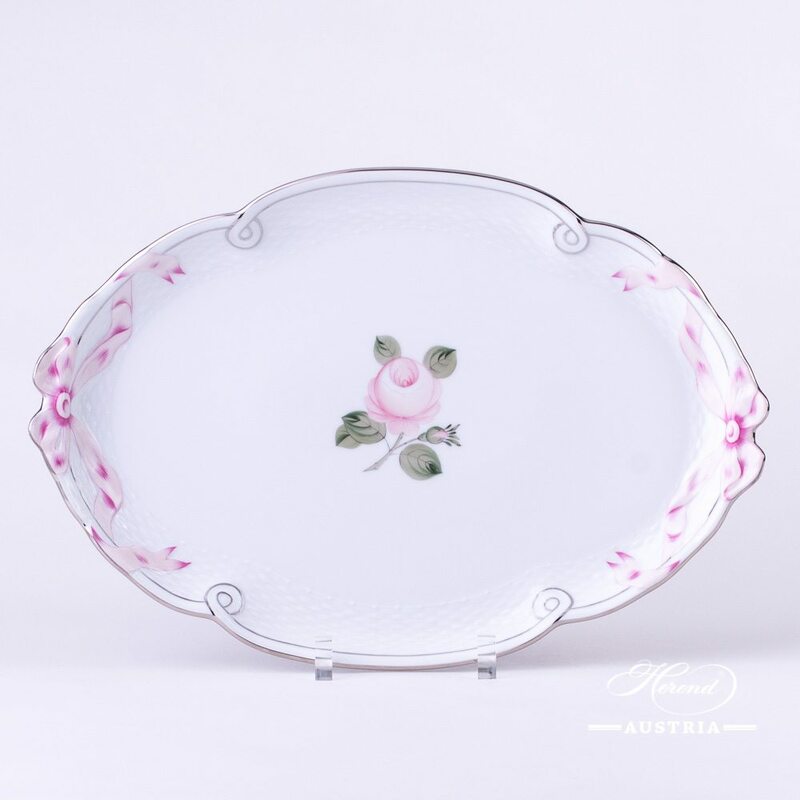 Open the Vienna Rose Platinum shop menu, to see more Vienna Rose Platinum items.